Thursday January 5, 12:00pm – 1:00pm tele-class: Worthy & Wise – Time to Unwind. Find your home base, feel the comfort of your platform when life is moving fast, ever-changing and uncertain. Know your worth and hear your wisdom. Stop, listen and receive. $20.00. Tuesday, January 10, 6:30pm – 8:30pm: Mighty Mermaids, Pinnacle View Studio, Chapel Hill, NC. Worthy & Wise – Time to Unwind. Find your home base, feel the comfort of your platform when life is moving fast, ever-changing and uncertain. Know your worth and hear your wisdom. Stop, listen and receive. $30.00. Thursday, February 2, 12:00pm – 1:00pm tele-class: Worthy & Wise – Time to Unwind. Find your home base, feel the comfort of your platform when life is moving fast, ever-changing and uncertain. Know your worth and hear your wisdom. Stop, listen and receive. $20.00. Monday, February 13 (due to Valentine’s Day): Mighty Mermaids, Pinnacle View Studio, Chapel Hill, NC. Worthy & Wise – Time to Unwind. An open space for women to gather and align with tools that bring out their very best. We all need a tribe! $30.00. Thursday, March 2, 12:00pm – 1:00pm tele-class: Worthy & Wise – Time to Unwind. Transform excuses into action. Know your worth and hear your wisdom. Stop, listen and receive. $20.00. Tuesday, March 14: Mighty Mermaids, Pinnacle View Studio, Chapel Hill, NC. Worthy & Wise – Time to Unwind. Relationships and Love (love for self and others). An open space for women to gather and align with tools that bring out their very best. We all need a tribe! $30.00. Thursday, April 6, 12:00pm – 1:00pm tele-class: The Power of Gratitude – Tapping Into High Vibration. Find your home base, feel the comfort of your platform when life is moving fast, ever-changing and uncertain. Know your worth and hear your wisdom. Stop, listen and receive. $20.00. Tuesday, April 11, 6:30 – 8:30pm: Mighty Mermaids Cruise, Jordan Lake, Apex, NC. Cruise and connect. We all need a tribe! $40.00, reception included. Thursday, May 4, 12:00pm – 1:00pm tele-class: Worthy & Wise – Time to Unwind. Know your worth and hear your wisdom. Stop, listen and receive. $20.00. Tuesday, May 9, 6:30 – 8:30pm: Mighty Mermaids Cruise, Jordan Lake, Apex, NC. Cruise and connect. We all need a tribe! $40.00, reception included. Thursday, June 1, 12:00pm – 1:00pm tele-class: Worthy & Wise – Time to Unwind. Know your worth and hear your wisdom. Stop, listen and receive. $20.00. Tuesday, June 6, 6:30 – 8:30pm: Mighty Mermaids Cruise, Jordan Lake, Apex, NC. Cruise and connect. We all need a tribe! $40.00, reception included. Saturday, June 10, 10am – 5pm: Law of Attraction (LOA) Workshop, Chapel Hill, NC. Do you have a dream that you keep putting off because of fear of the unknown? Do you stop yourself because you feel you might be not good enough? Do you want to live your life with more purpose and passion? Are you wanting to create a healthy relationship, a new job, more joy, satisfaction, financial freedom? The LOA tools are results-proven and life changing. Bonuses includes the Jack Canfield Vision Board kit, gratitude journal and follow-up coaching call. $299.00. Thursday, July 6, 12:00pm – 1:00pm tele-class: Worthy & Wise – Time to Unwind. Know your worth and hear your wisdom. Stop, listen and receive. $20.00. SOLD OUT – Tuesday, July 11, 6:30 – 8:30pm: Mighty Mermaids Cruise, Jordan Lake, Apex, NC. Cruise and connect. We all need a tribe! $40.00, reception included. Rain date: July 13. To join the waitlist, contact Elizabeth. Sunday, July 16, 3:00 – 4:30pm: Free Goddess Mermaid Cruise on Jordan Lake. Registration required. Sunday, July 16, 4:30 -6:00pm: Free Goddess Mermaid Cruise on Jordan Lake. Saturday, July 22, 10am – 5pm: Law of Attraction (LOA) Workshop, Chapel Hill, NC. Do you have a dream that you keep putting off because of fear of the unknown? Do you stop yourself because you feel you might be not good enough? Do you want to live your life with more purpose and passion? Are you wanting to create a healthy relationship, a new job, more joy, satisfaction, financial freedom? The LOA tools are results-proven and life changing. $249.00. Thursday, August 3, 12:00pm – 1:00pm tele-class: Worthy & Wise – Time to Unwind. Know your worth and hear your wisdom. Stop, listen and receive. $20.00. Tuesday, August 8, 6:30 – 8:30pm: Mighty Mermaids Cruise, Jordan Lake, Apex, NC. Cruise and connect. We all need a tribe! $40.00, reception included. Thursday, September 7, 12:00pm – 1:00pm tele-class: Worthy & Wise – Time to Unwind. Know your worth and hear your wisdom. Stop, listen and receive. $20.00. Tuesday, September 12, 6:30 – 8:30pm: Mighty Mermaids Cruise, Jordan Lake, Apex, NC. Cruise and connect. We all need a tribe! $40.00, reception included. Registration required. Rain date: Sept. 13. Saturday, September 16 – Sunday, September 18: Women’s Beach Retreat — Own Your SuperPowers! Shell Island Resort, Wrightsville Beach, NC. With Elizabeth Trinkaus and Aubrey Griffith-Zill. Uncover and embrace your superpowers. Step into your truest self. Align with your passion and life purpose. Dance with your vision and bring your gifts to the world! $499 includes all workshops; get all the details. Tuesday, October 3, 6:30 – 8:30pm: Mighty Mermaids Cruise, Jordan Lake, Apex, NC. Cruise and connect. We all need a tribe! $40.00, reception included. Thursday, October 5, 12:00pm – 1:00pm tele-class: Worthy & Wise – Time to Unwind. Know your worth and hear your wisdom. Stop, listen and receive. $20.00. Thursday, November 2, 12:00pm – 1:00pm tele-class: Worthy & Wise – Time to Unwind. Know your worth and hear your wisdom. Stop, listen and receive. $20.00. Saturday, November 4, 9am – 6pm: A Day of Healing. The Fairmont Sonoma Mission Inn & Spa, Sonoma CA. Specifically designed to bring hope to those affected by the CA. fires. Contact Elizabeth for details. Thursday, November 2, 5:30pm – 7:30pm: Elizabeth will give the keynote speech for the Connected Women of NC Mentoring 2017 Closing Ceremony in Durham, NC. Tuesday, November 14, 6:30 – 8:30pm: Mighty Mermaids, How to Quiet the Critic and Travel with the Encourager. Amazing things will happen when you do! Pinnacle View Studio, Chapel Hill, NC. $40.00. Connection reception following. Thursday, December 7, 12:00pm – 1:00pm tele-class: Worthy & Wise – Time to Unwind. Know your worth and hear your wisdom. Stop, listen and receive. $20.00. Tuesday, December 12, 6:30 – 8:30pm: Mighty Mermaids, Mighty Mermaid Closing Ceremony. Recharge. Receive. Reconnect. Celebrate. Whether you are new or have been ‘Mighty’ for over 10 years, you will love our closing ceremony. Remember why it’s so important to ground your energy, feel your worth, own your power and be grateful. Leave knowing “I am bold. I am strong. I am safe. I am powerful.” Pinnacle View Studio, Chapel Hill, NC. Free to all; connection reception following. Thursday, March 3, 6:30pm: Mighty Mermaids Affirmation Art, Pinnacle View Studio, Chapel Hill, NC. Creativity opens us up and sets us free. Choose your favorite affirmation and leave with a booklet of your art. Get grounded, have fun and come celebrate with us! We all need a tribe. Tuesday, March 22, 8am: Morning motivation – Woman Ignited–Stay Motivated for Life! Professional Business Women of California 27th Annual Conference, San Francisco, CA. Saturday, April 2, 7:15pm: Spa retreat – Libbey Lounge, The Oaks at Ojai, Ojai, CA. Stay Motivated for Life: A Woman Ignited Message! From fear to fun, from stress to celebration, from bonkers to deep breaths. 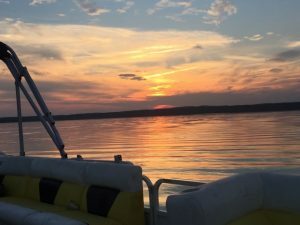 Tuesday, April 12: Mighty Mermaid Sunset Cruise, Jordan Lake, Apex, NC. Join us for an evening of relaxation and fun. Tuesday, May 10: Mighty Mermaids Cruise. The Practice of Grounding. Grounding your energy gives you a mental recess. It makes room for you to hear your wisdom and gain clarity. It’s a vital step in the recharging of your energy. Learn a 1-minute tip that you can use anywhere to de-stress and create more balance. Tuesday, June 14: Mighty Mermaids Cruise. The Practice of Courage. It takes courage to shift and make any dream a reality. How can we best access our courage on a deeper level and know that the temporary discomfort of the unknowns is so worth the ride? Join us! Connection reception follows the cruise. Give yourself permission to shine! Tuesday, July 12: Mighty Mermaids Cruise. The Practice of Shining. Do you find yourself dimming your light in certain areas of your life? How might you notice when you do, and access the courage to SHINE? Connection reception follows the cruise. Monday, August 1 – Thursday, August 4, 9am – 10:30am: The Audacity to Shine. Chautauqua Institute, Sheldon Hall of Education, room 203, Chautauqua, NY. Note: Elizabeth is available for a limited number of 1:1 coaching sessions throughout the week. There seem to be two of me: one who is wise and intuitive, the other who hides her light and feels ‘not enough.’ How might I turn down the voice of the oh-so-familiar critic and have the audacity to shine? In this course we will address the familiar ‘old stories’ and connect with new, more positive ones. This enlightening class will offer proven tools to be more creative, effective and joyful on our journeys! Tuesday, August 9: Mighty Mermaids Cruise. The Practice of Self Care. The quickest way to a more fulfilled life is self care. How might I remember to recharge everyday? Learn tips and tools that are guaranteed to make you a more energized and joyful you! Connection reception follows the cruise. Tuesday, September 13: Mighty Mermaids Cruise. The Practice of Listening. When you stop to listen, you might be amazed by what you hear. Discover how your intuition has a voice and how the practice of listening will give you the power to be more clear about who you are and what you want. Connection reception follows the cruise. 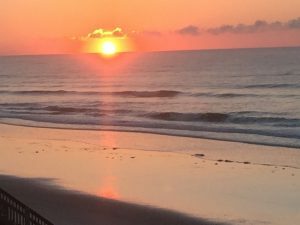 Saturday, September 17 – Monday, September 19: Recharge With Grace: A Women’s All-Inclusive Oceanfront Retreat, Topsail Beach, NC. Tuesday, November 8: Mighty Mermaids. Pinnacle View Studio, Chapel Hill, NC. The Practice of Gratitude. Gratitude has a way of bringing life into perspective. The practice of daily gratitude calms the heart and recharges the soul. Embrace this small technique that will have a big effect on how you live each day. Connection reception follows. Saturday, December 3, 10am – 5pm: Ageless Goddess Retreat, Pinnacle View Studio, Chapel Hill, NC. Aging is more about your attitude than your genes. Join us for this eye-opening empowering retreat. Registration closed. $150. Tuesday, December 13: Mighty Mermaids. Pinnacle View Studio, Chapel Hill, NC. The Practice of Celebration. Join us as we review 2016. Create a map of your greatest lessons. Take time to celebrate your unique journey in all its perfect imperfections. Cheers! Connection reception follows. 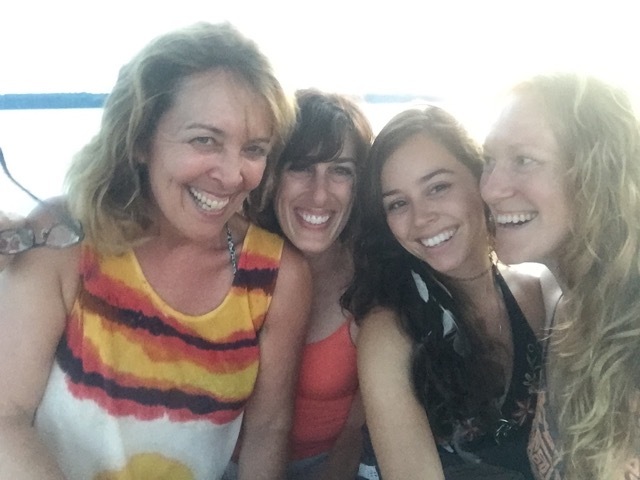 6:00 – 8:00pm Relaxing cruise, eagle sightings, inspirational workshop and fabulous connections! Reception included. 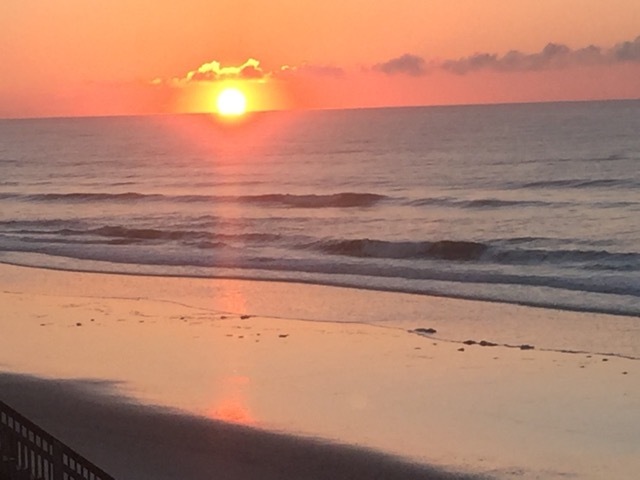 September 19-21: Oceanfront Woman Ignited Retreat – Goddesses Never Age – We All Need A Tribe. Emerald Isle, NC. October 13: Mighty Mermaid Monthly Gathering, Pinnacle View Studio, NC 6:30 – 8:30pm. Deepening the Heart with Art – Judith Winston & Elizabeth Trinkaus – Inspirational workshop and great connections. Leave with a piece of your art and a bigger heart. Reception included. October 15: Connected Women of North Carolina Annual Signature Event, 6 – 10pm. Briar Creek, Raleigh, NC. You’re moving fast and slowing down doesn’t seem like an option. Elizabeth will offer 3 proven tools that has helped thousands of corporate women stay motivated and achieve greater success, inside and out. Elizabeth’s signed book and Affirmation cards included. Your choice of co-authored books: Conversation On Success (Deepak Chopra and others) or Success Simplified (Stephen Covey and others). 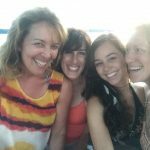 November 10: Mighty Mermaid Monthly Gathering, Pinnacle View Studio, NC Grateful …today. 6:30 – 8:30pm Inspirational workshop and great connections. Reception included. November 18: Cisco Connected Women present Your Holiday Elixir – 1:30 – 2:30pm. Let this one hour positively effect all your holiday hours. Elizabeth will offer proven tools to help you thrive this – and every – holiday season! Life Coaching gift certificates, books and affirmation cards will be available. Cisco, building 7, Maggie room, Morrisville, NC. Let this one hour positively effect all your holiday hours. Elizabeth will offer proven tools to help you thrive this – and every – holiday season! Life Coaching gift certificates, books and affirmation cards will be available. Cisco, building 7, Maggie room, Morrisville, NC.